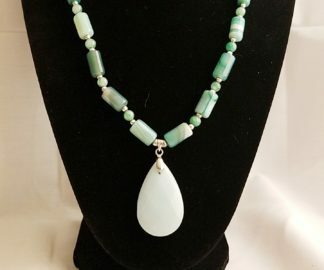 The Azure Tribute Turquoise Necklace is rich with color. The Azure Tribute Turquoise Necklace is rich with color and will add depth to any outfit. A large Turquoise pendant is hung delicately in the balance between Tiger Conos shell and imitation turquoise pebbles and chips. The Azure Tribute Turquoise Necklace is rich with color and will add depth to any outfit. 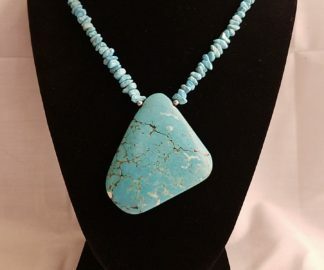 A large Turquoise pendant is hung delicately in the balance between Tiger Conos shell and imitation turquoise pebbles and chips. 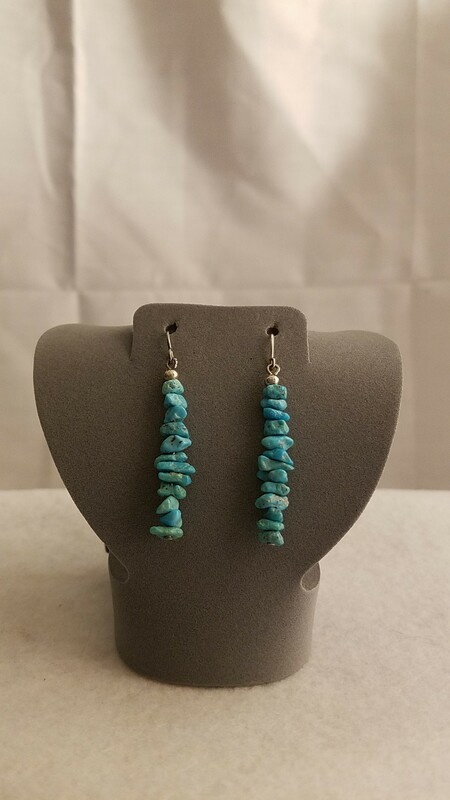 Rich azure colors together with the subtle cream and browns of the Conus shell works to bring great depth to any outfit. 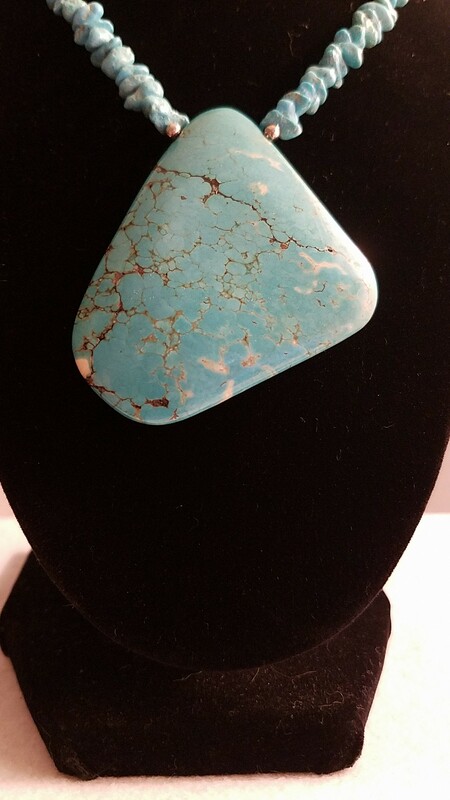 Turquoise is perhaps the oldest stone in man’s history, the talisman of kings, shamans, and warriors. It is a stone of protection, strong and opaque, yet soothing to the touch, healing to the eye as if carved from an azure heaven and slipped to earth. Its unique shade of blue, often blue-green, lends its name, Turquoise, to all things of this tranquil hue. The delicate veining or mottled webbing in cream or brown is inherent to the stone and serves to enhance its character. Turquoise – is a blue-to-green mineral that is made of a hydrous phosphate of copper and aluminum. It’s rare and often very expensive and priced that way too. 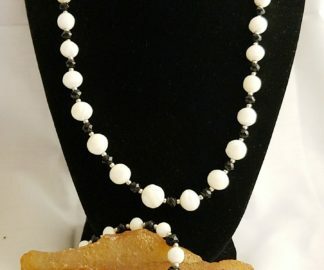 Because of its unique hue, it is treated like most gemstones and has been devalued over the years by being imitated, synthesized and with the use of other types of treatments. 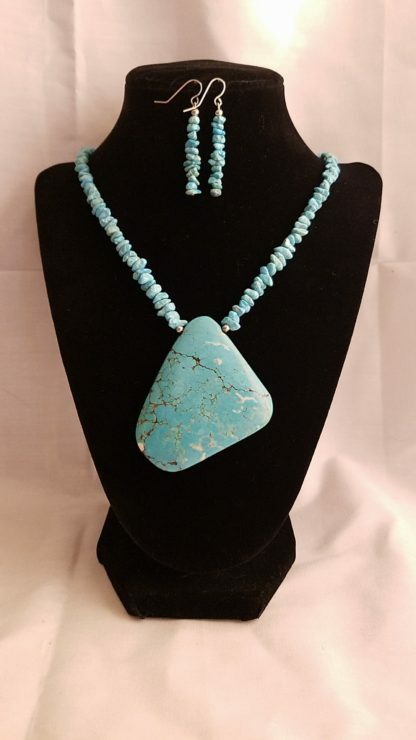 Therefore if you would like more information about the gemstones and items I use in making my handmade items like this, The Azure Tribute Turquoise Necklace Materials Description Page. Let this The Azure Tribute Turquoise Necklace give your outfit rich dramatic color.